Four years since they released Dring, Nôze are making a very welcome return to Circus Company with their fifth album Come With Us, and once again the pairing of Nicolas Sfintescu and Ezechiel Pailhes has yielded a collection of captivating and curious songs that could only come from the unique sound world they inhabit. As has been evident throughout their career from their early experimental house days through to the more recent song-based material for Get Physical, the Parisian duo have always moved on from album to album, maturing their sound to deliver a new experience for themselves and their listeners every time. On this occasion, Come With Us finds Nicolas and Ezechiel in a particularly introspective mood. Even as their work has naturally turned more to home-listening craft over the years, here they revel even more in personal reflection both musically and lyrically. Tracks such as “Saint” conjure up the romanticism of dustbowl blues with its vagabond guitar tones (played by long time collaborator Thibault Frisoni), while Nicolas’s voice reaches new distinctive heights in spellbinding tales like “Apache”. Emiliano Turi also lends a new sense of natural groove to the Nôze sound with his live drumming, and as ever, Nicolas and Ezechiel are keen to bring their friends into the fold for guest vocal spots. Dani Siciliano spars beautifully with Nicolas on the disco-inflected album opener “I Need To Know”. dOP vocalist JAW, fresh from his Midtown project, joins in for the bittersweet balladry of “Come With Me”. 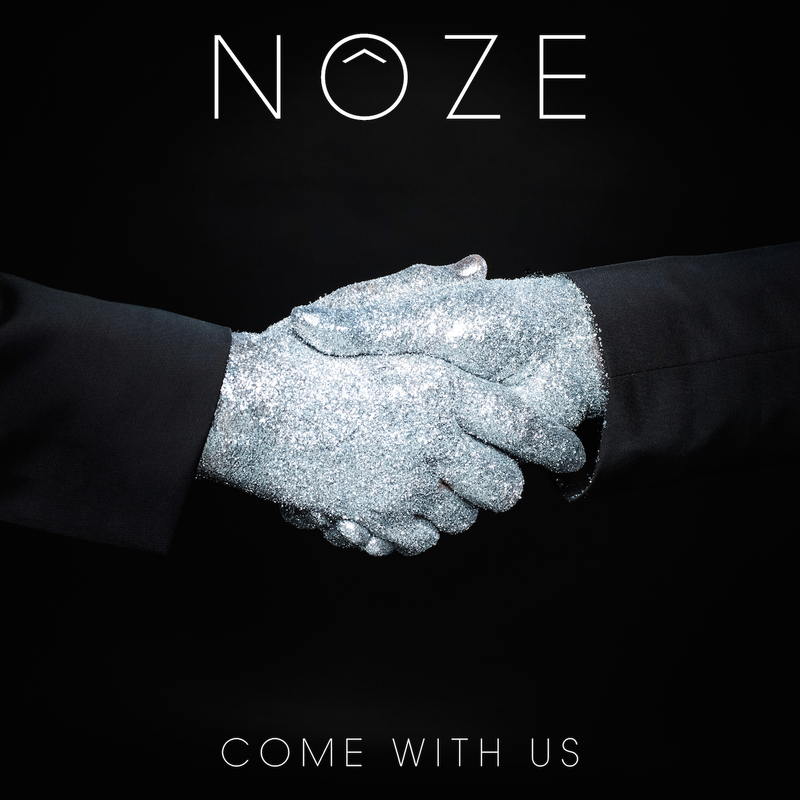 Although they may be committed to exploring more intimate forms of musicianship, Nôze are not a duo who have forgotten their dancefloor roots, and in recognition of this the CD version of Come With Us comes with a bonus disc of remixes by the duo themselves, offering up electrified alternative versions of every track on the album. As a body of work in its own right, these are less remixes and more original productions rich with the warmth of synthesised tones and powered by mechanised drums. The 70s feel of the original album transfers to the remixes, the comforting hum of arpeggios and Moog growls finished off with a snappy modernity that brings the music into the here and now. As well as the CD version, the remixes will be available as a digital bonus when pre-ordering Come With Us on iTunes. On every level, Nôze have delivered an album that will satisfy their ardent fans of many years while demonstrating their expanding repertoire as they grow as artists. From the beginning it was clear they would never rest in one place, and now Come With Us is the perfect invitation to carry on down the path with two of Circus Company’s original ambassadors.